Large Down Payment On Home Loan: How Much Should I Put Down On A House? Most consumers are always wondering how much you should put down on a house. It has become a very common question among homebuyers, especially first time buyers. For a purchaser with a lot of money saved in a bank account, with very little annual income, it may make more sense to put down a larger chunk of money. This is due to by making a large down payment; your home loan will reduce in size, as well as your monthly mortgage payment. On the other hand, if you have a good household income, but little money saved in the bank, in would make sense to go with a low or no-down payment home loan. You will need to plan for the extra expense you will take from that, mortgage insurance. With mortgage insurance though, you can choose to cancel it at some point in the future. The main thing to take home is that you should not believe that it is conservative to make a large down payment on a home loan. In most cases, the opposite is true. It is more conservative to borrow more, and we will discuss the reasons why throughout this article. A down payment in real estate is the amount of cash you put towards the purchase of your home loan mortgage. Down payments tend to vary in size and are mainly referred to by percentage of the overall home loan. An example of a down payment is when you’re buying a home for $300,000, and put down $60,000, you would be placing 20 percent down on your home loan. As a new homebuyer, it is likely that your home loan will be the largest expense on your monthly balance sheet. Most of the time, your home is worth more than all your other investments combined. In a common mortgage way of putting things, that makes your home a shelter as well as an investment. As an investment, having a smaller down payment will increase your rate of return. Furthering our first example, a home that is worth $300,000 at the time of purchase, on average increases in value 5% each year. Making the home worth $315,000 next year. If you put down 20%, which is $60,000, your rate of return would be 25%. Whereas if you put down 3% on your home loan, $9,000, your rate of return would result in 167% increase. A few other reasons you may want to think twice before putting down a large down payment on your next home loan include: not being able to a larger savings than before, being highly exposed when values drop, and losing liquidity on your home loan. When you’re planning on making a large down payment on a new mortgage, there are many considerations to make. How much can you afford to put down? It is a good idea to discuss your plans with a mortgage broker ahead of time. NSH Mortgage has helped countless clients obtain the correct information on home loans, down payments, and any other mortgage related questions. You can also use our FREE NSH Mortgage Calculator to check today’s current mortgage rates and how they would affect the size of your down payment! 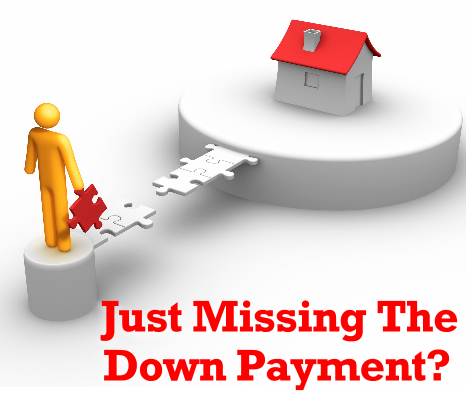 Contact NSH Mortgage today to about your next down payment.